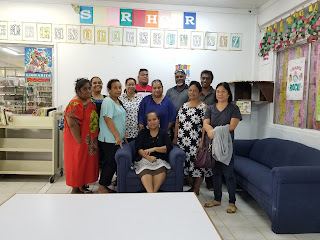 On April 12, 2019, Libraries, Archives and Museums of Pohnpei (LAMP, Inc.) had a meeting at the Library to update on the IMLS grant, FSM ALAM 5 year plan and financial report. Members request a copy of the 5 year plan to be circulated so that all the members can review and provide their inputs on the next meeting. According to Treasurer Ms. Ernest, $60,000.00 will be received from Institute of Museums of Libraries Services to assist with the proposals of the 5 year plan. She will try to get more information from the Historic Office and share on the next meeting. Financial report updated by LAMP, Inc. Treasurer, Ms. Ernest. 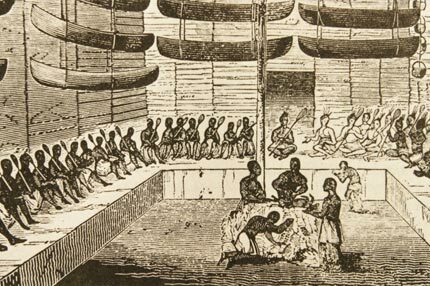 In her report she provided a copy of the passbook and explained the expenses and the fund deposited. LAMP, Inc. President Ms. Heliaiser encouraged everyone to check on their membership fee and make payments to update if needed. Followed by the meeting, a short presentation was shared by LAMP, Inc. President on the resources that they provide at the College Library. 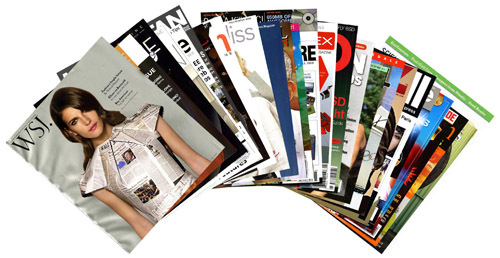 Web OPAC is an online public access catalog that people can search on through internet to see their collections. Two video editor program were also shared to provide assistance to the Librarians to create videos for their collections to be able to view by patrons on video format. 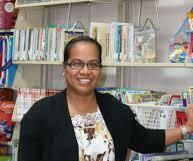 Pohnpei Fishing Club has been a big supporters for the Pohnpei Public Library. 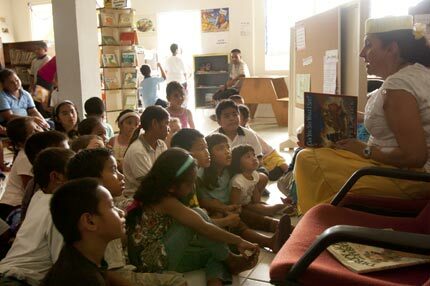 They have given so much in the past helping our reading program, donating books and picture taking equipment and etc. At the Fishing tournament they provide a small space for hot dog sales on the days of the tournament and the fund collected from the sales use to buy books and other library needs. I am very grateful to share that we just received two (2) boxes of children's new books from them. I would like to express our appreciation to Pohnpei Fishing Club for their continuing support and valuable contributions. On April 8-11, we did a tour for the 4th to 6th graders from Calvary Christian Academy School. During the tour we were able to shared with the kids about the rules and regulations that we have. After briefly going through our rules, the kids then divided up into two groups for a short tour. During the tour, I explained about the Dewey Decimal System and how we used this to arrange our books. I pointed out where the reference are, Pohnpei collections including other pacific collections. I walked them to the circulation desk and explained to them about our membership card and how to become a membership. I also showed them how to use the public access catalog computer to search for books in our Library. Friends of the Pohnpei would like to express their sincere gratitude for the visit and looking forward to work with the teachers and students in the future for their projects. 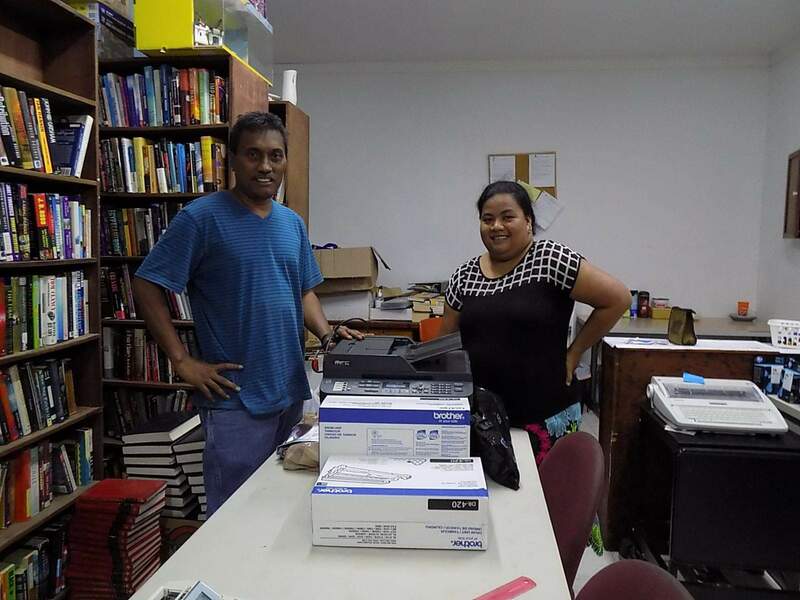 On Friday, October 12, 2018, Ms. Beyleen M. Cornelius, Mand Early Childood Education Center Suprvisor received a copier from Pohnpei Public Library to help the staff in preparation of the class activities. She was very grateful for the donation and said that this will help a lot since they have to walk to the Principal's Office to make copies everyday. 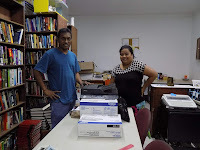 This copier was donated by Ms. Uta Finnen but Pohnpei Public Library already have one and decided to donate to schools or libraries needed. Mand ECE was one of the schools that send in a request asking for anything that will assist with their classes. 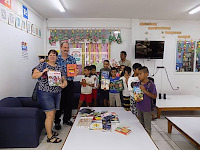 Mand ECE supervisor expressed her sincere gratitude to Pohnpei Public Libray and the Board of Directors for the donation. 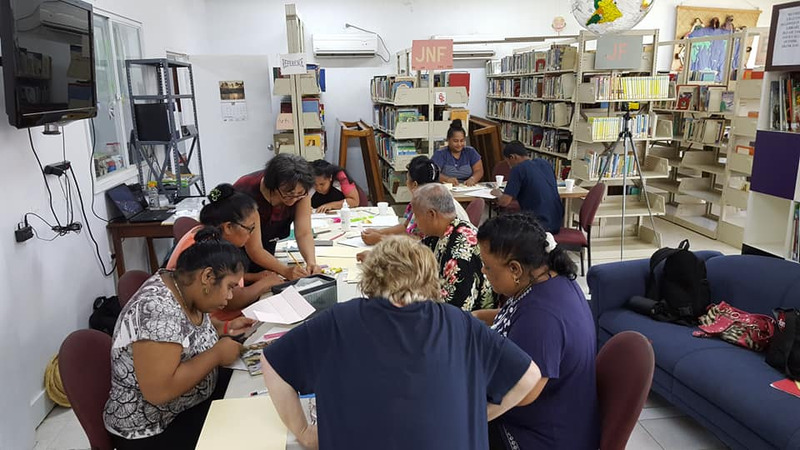 Libraries, Archives and Museums of Pohnpei (LAMP, Inc.) Association members have completed a three day workshop on bookbinding. The workshop was coordinated by Ms. Katherine Grant (Australian Embassy, Pohnpei) and Lester Ezekias (Pohnpei Public Library). 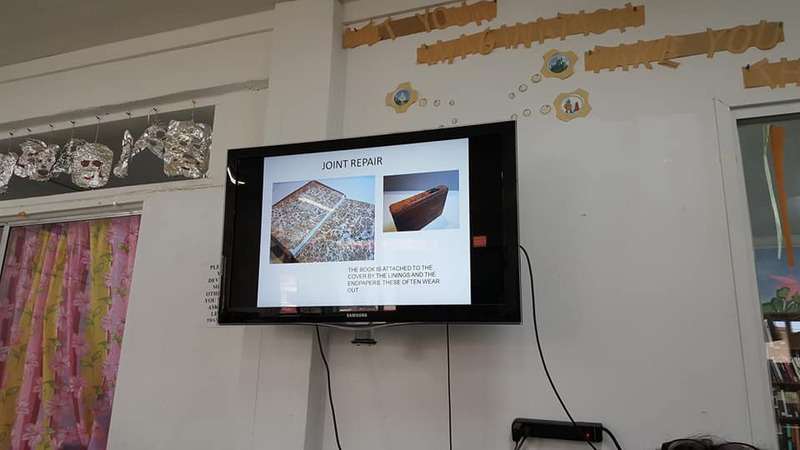 Ms. Erika Mordek, Reference Librarian for the National Library of Australia, was very generous to share her skills on bookbinding to the librarians in Pohnpei. LAMP Inc. would like to express its sincere gratitude to Ms. Erika Mordek, Ms. Katherine Grant and Australian Embassy for their valuable support and assistance. On the week of 10-14, Ms. Mordek conducted hands on training on pamphlet sewing, oriental bindings and multi section sewing. 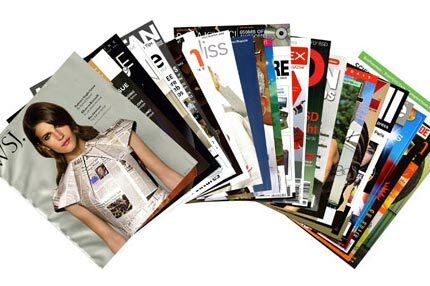 Most of the material used were provide by the Australian Embassy and Ms. Mordek. 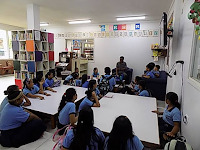 On September 6, 2018, Libraries, Archives, Museums of Pohnpei (LAMP, Inc.) re-organized the association. 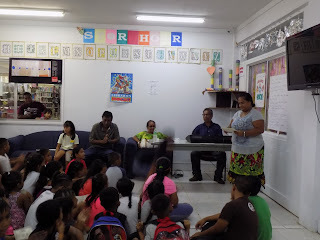 Meeting was held at the Pohnpei Public Library, presided by Vice President Lester Ezekias. Ms. Jennifer Helieisar retained the Presidency seat. Ms. Helieisar is the current Director of Learning Resource Center for the College of Micronesia-FSM. Mr. Lester Ezekias retained the Vice Presidency seat. 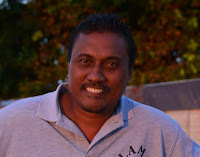 He is the current Head Librarian for the Pohnpei Public Library. Ms. Nercy Simina is the new elected Secretary. Ms. Nercy Simina is the Librarian for the FSM Congress Library. 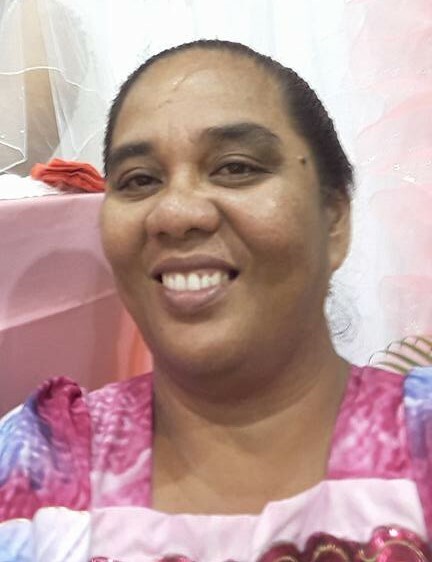 Ms. Jenny Ernest retained the Treasurer seat. Ms. Ernest is the Administrative Officer for the FSM National Archives, Cultural and Historic Preservation Office. The Pohnpei Public Library celebrated the end of this year’s annual Summer Reading Program (SRP)on July 13, 2018. Head Librarian Mr. Lester Ezekias welcomed all in attendance at the closing celebration and thanked participants, volunteers and parents for their contributions and assistance during the four-week program. In line with the theme for this year’s SRP “Libraries Rock,” three health-related children’s songs were performed by the SRP participants. Group 1 which was comprised of K5-2nd graders sang a song entitled “Wash Your Hands”; Group 2 comprised of 3rd-5th graders sang “Suke Laud Kahrehda Ngih Rongala” (too much sugar causes tooth decay); and Group 3 consisted of 6th-8th graders who sang a song entitled “Pohnpei Lingan”. 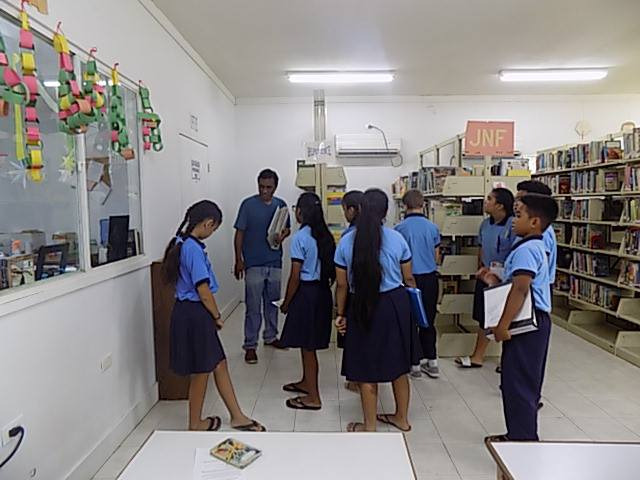 All the songs were taught by Mr. Alanso Jimina, retired Music Specialist for the Pohnpei Department of Education. Several participants noted that their favorite part of the SRP this year was the activities, which were designed by the Collaborative Summer Library Program out of Iowa, USA and organized during the SRPby volunteers and PPL staff. 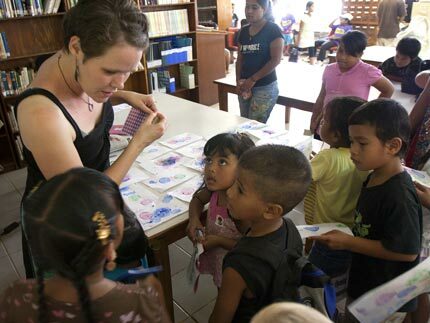 The kids learned songs, made crafts and enjoyed other fun and educational activities. 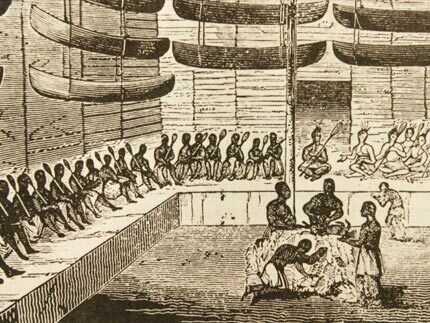 The Program this year was funded by the FSM National Archives, Cultural and Historic Preservation Office (FSM NACH) through a grant from the Institute of Museums and Library Services (IMLS). The continued success of the Summer Reading Program would not be possible without the involvement and contributions of volunteers, parents, participants and generous donors. 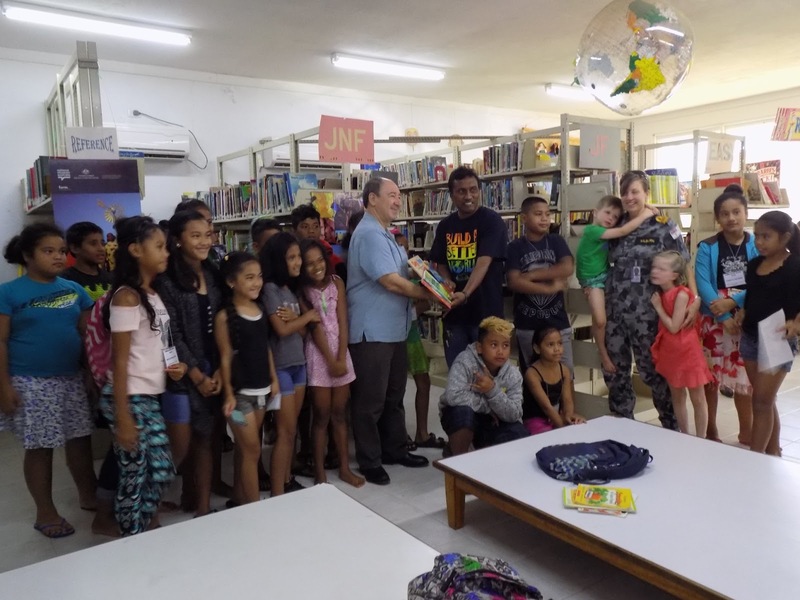 The Friends of the Pohnpei Public Library would like to thank the IMLS, FSM NACH, Australian Embassy-Pohnpei, Kaselehlie Press, V6AH Radio and the Pohnpei Fishing Club for all their generous support. Special appreciation goes out to the following individuals for their involvement during the four-week program: Alanso Jimina, LJ Gamow and Telyla Liwy. All the participants received certificates and prizes presented by the staff and volunteers. 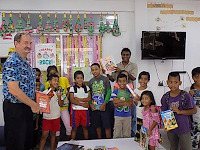 Head Librarian Mr. Ezekias also handed out certificates to the contributors and volunteers for this year on behalf of the Friends of the Pohnpei Public Library. 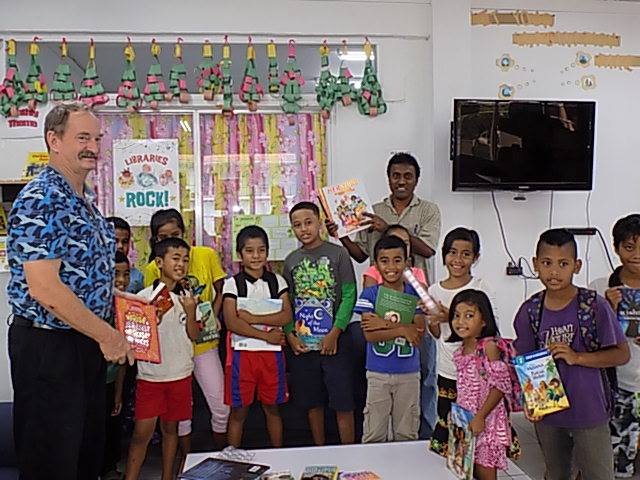 THANK YOU ALL FROM THE FRIENDS OF THE POHNPEI PUBLIC LIBRARY!